Celebrations for the New Year are not yet over as Good Life welcomes the Year of the Rooster. on Janaury 27, 1 p.m., at the Robinsons Place Manila Midtown Atrium. 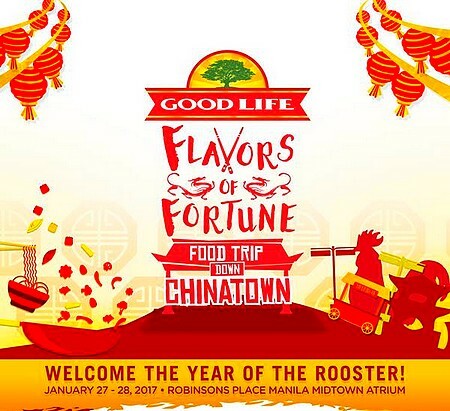 Join the grandest celebration of Chinese food and culture in the Good Life Flavors of Fortune: Food Trip Down Chinatown until January 28. Enjoy Chinese food that usher good fortune and get to experience different activities as you go on an oriental adventure. For more information, log on to Good Life's Facebook page.